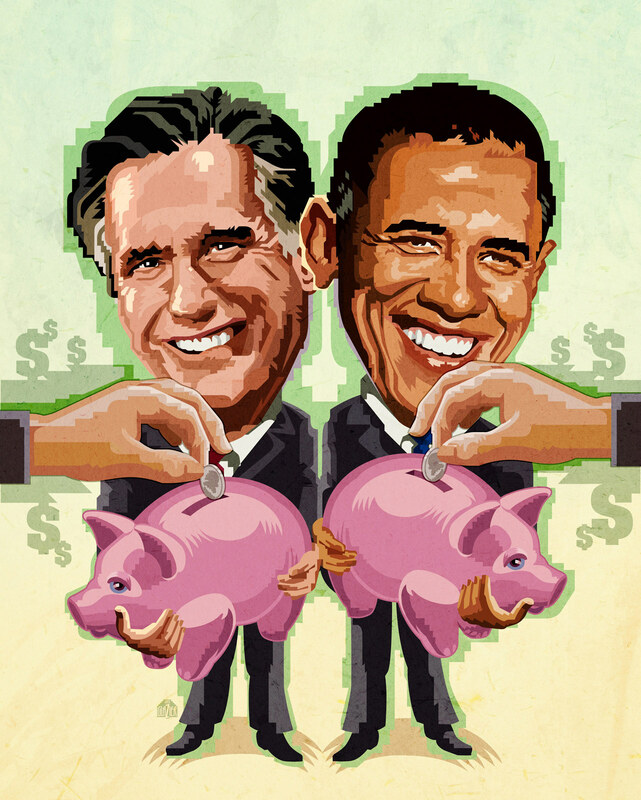 I recently finished a full-page color caricature illustration of Romney and Obama with piggybanks for Crain's Detroit Business. The article was about Execs contributing to the candidates super PACs. The art was used as full page illustration in the print version in late October but I did not get a chance to grab a copy. I could not show this until it had appeared in print first. I tried my best not to play favorites in how I presented the two candidates, although Obama's ear is in front of Romney's head which could be taken as a subtle nod to the Democrat candidate. 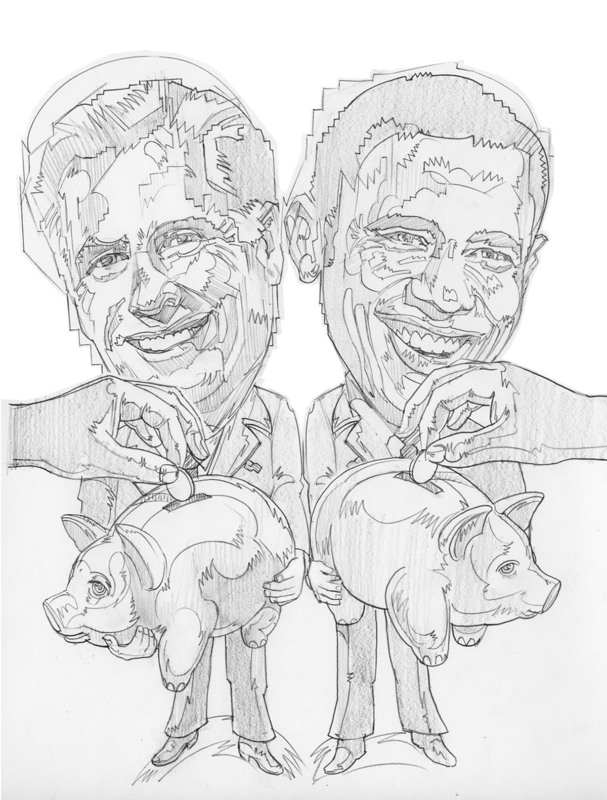 I recently finished a full-page color caricature illustration of Romney and Obama with piggybanks for Crain's Detroit Business. The article was about "Execs contributing to the candidates super PACs." The art was used as full page illustration in the print version in mid to late October. 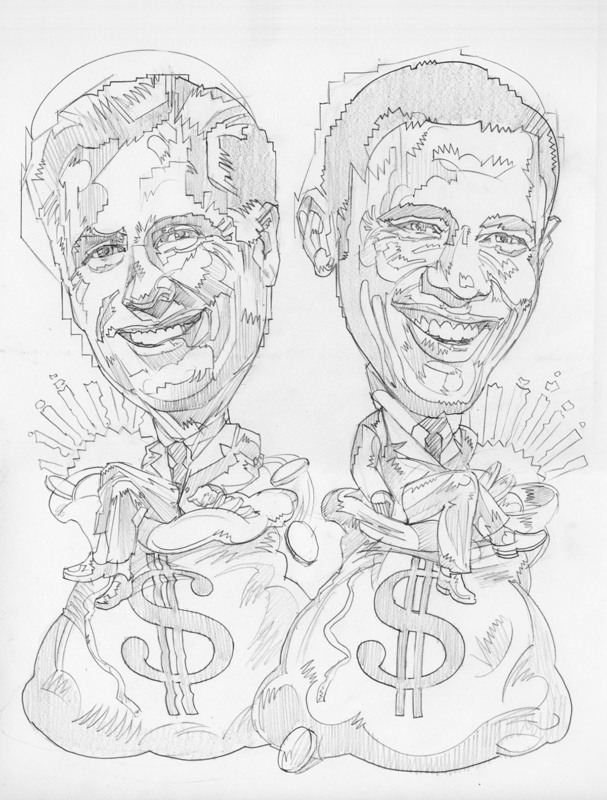 I tried my best not to play favorites in how I presented the two candidates, although Obama's ear is in front of Romney's head which could be taken as either a subtle nod to the Democrat candidate or as a show of deference to the president. This initial sketch was not used but provided a starting point for the project. Sketch number 2 was used as the basis for the final illustration.